Sam’s got big plans that don’t include playing backup while his alcoholic dad scratches out a living as a Johnny Cash soundalike. He intends to take his high school garage band to the big time, and as soon as he hears Bailey play, he knows she’s just what he wants. That really ticks off Charlotte, the drummer for the band and Sam’s ex-girlfriend, while bassist Ace just wants to keep everyone happy. 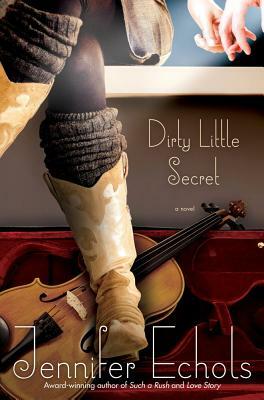 Bailey isn’t at all sure where she stands with this boy who has a lust for music and life, and who may or may not have a lust for her. Something tells her that with Sam, there could always be a catch. And yet, suddenly, her life is no longer about what might have been, and a whole lot about where she will choose to go.